Hajj Memories – No doubt hajj and Umrah are considered as the most sacred and pious and act in Islam and it provides ideal opportunities to the pilgrims to wipe away their earlier sins. 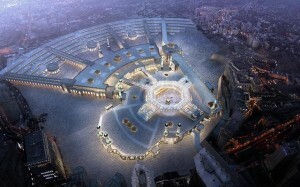 Plan a visit to different sacred sites in Makkah with your family. Keep the young ones updated with the historical significance of each site so that they can completely experience the spirituality and relation to the place. If you are going on a Hajj or Umrah with your children, then make your kids write down and note about their experience after visiting every sacred place in Umrah and hajj. Make sure to purchase the small souvenirs that are linked to the place you have visited. It will act as a memorial for you and your family. When visiting any holy place in Makkah, make your kids busy in visiting the site by telling them related stories of the Prophets. Hajj and Umrah is the time when your sins are wiped away, so use this time and speak to your family about any previous grudges and pardon each other for their previous mistakes. Once you have done your Umrah or hajj, you can go around and go for shopping a slight because kids will always wanted to have fun in the malls. Let your kids cooperate with other kids also. This means they must not only socialize with kids from their own state, but they must also socialize with kids from other countries. This will assist them build self-confidence and proud in their homeland. If you are pursuing this holy journey with your aged parents, then make superior and most possible efforts to have a better time with your family. Fulfil your duty towards your parents in the finest way possible and have quality time with them. Performing Umrah and hajj after wedding could be the greatest experience for the newlyweds. It strengthens the bond and their connection and relationship with trust and integrity. You can gather touching and emotional memories by helping and supporting each other. Hajj itself is an amazing experience in one’s lifetime and a prayer together offered by family members is something outstanding. May ALLAH Almighty grant us the opportunity offer Hajj and Umrah both with our family –Ameen. kaabahtours.co.uk is one of the authorized Hajj and Umrah travel agent based in UK offers a range of Cheap Umrah Packages 2016 from UK.